Lucky me I can actually wear this dress to Thanksgiving dinner! 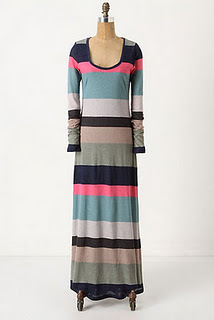 I had seen when it first arrived at Anthropologie and loved the style and colors, but didn't like the price. I caught it at the perfect time of 40% off plus free shipping. The only problem is that it will probably be too hot for Palm Beach Co. weather so most likely I'll be wearing it at Christmas in Kansas. The dress is wool and the sleeves aren't lined (only the body of the dress) so there is also the itch factor...hot & itchy = not a good combo. Regardless, I'm still creating a Thanksgiving outfit, because the colors are perfect for fancy feast. big fan of the necklace. happy thanksgiving lady!!!! Oh the shoes! I need those in my life! And the necklace... and the handbags... and and and! I kind of envy your warmer weather (it’s far too cold and miserable here)!